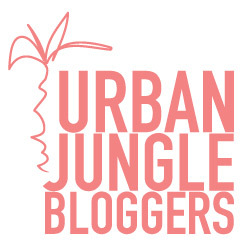 I’m back again with my second Urban Jungle Bloggers post of the year. 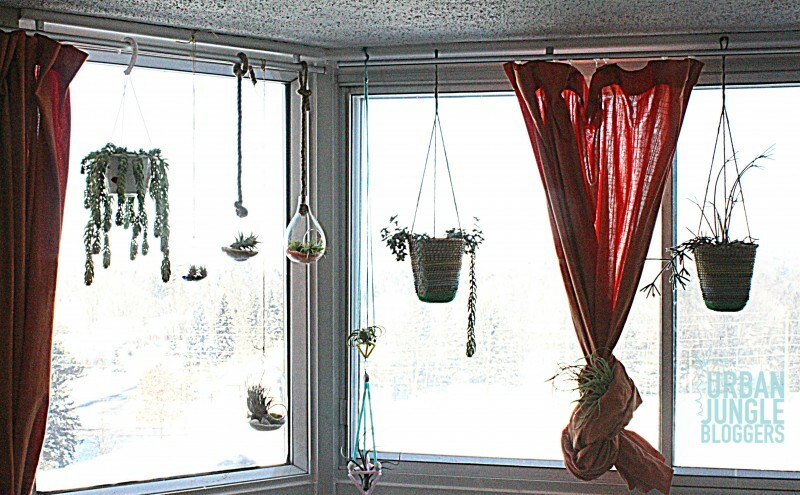 This month the theme is hanging planters. This is actually perfect for me as I have a few hanging planters. When you run out of window sills, well, you think of new ways to make room for your plants. I thought I’d share a few of mine with you. My first attempt at himmeli with straw. I plant to attempt this again but with brass tubes. 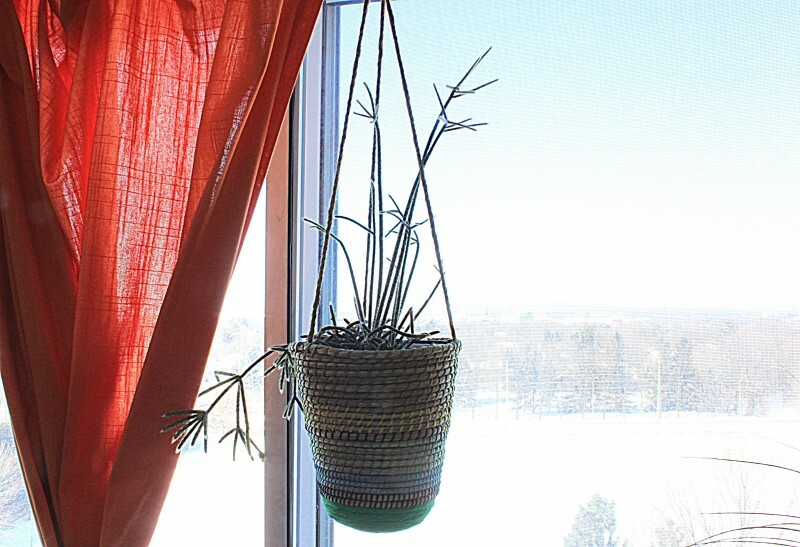 Macrame plant hangers are also next on the list of things to try. Stay tuned! 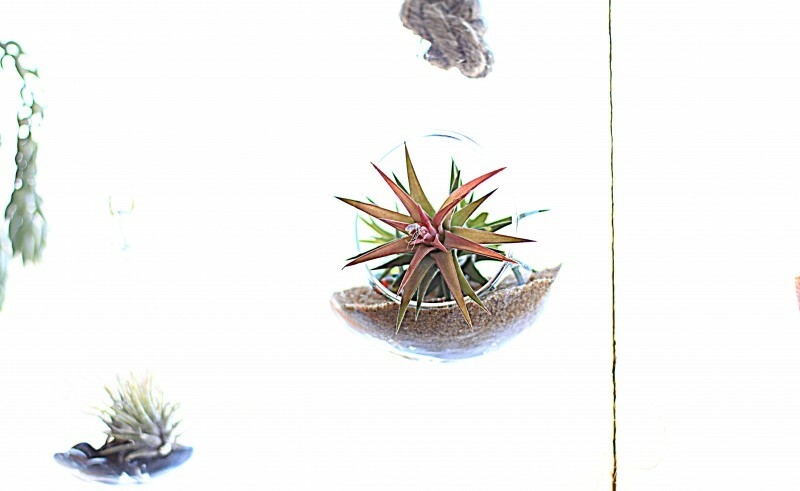 Sometimes small spaces call for unique indoor gardening solutions. I use my curtains to hold more airplants. And that’s a wrap. 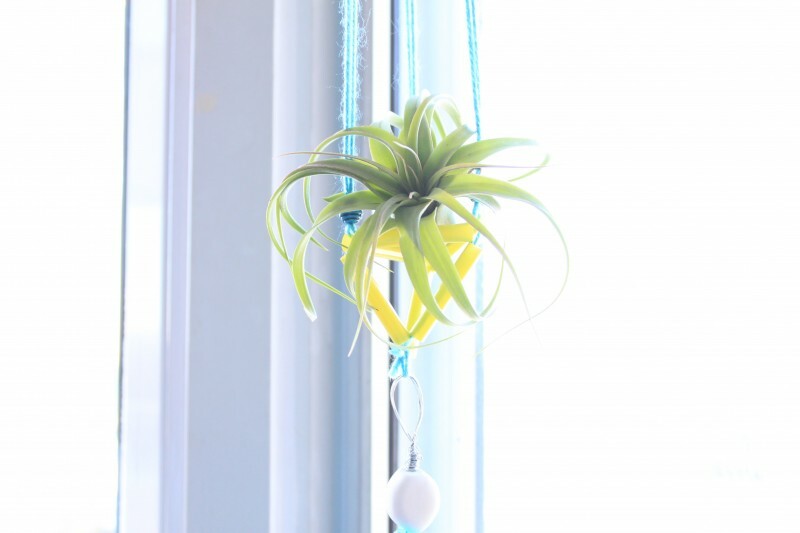 Any of you have interesting ways of displaying your plants in the air? Share photos of them in the comments box below. Love it! Such a bohemian vibe! 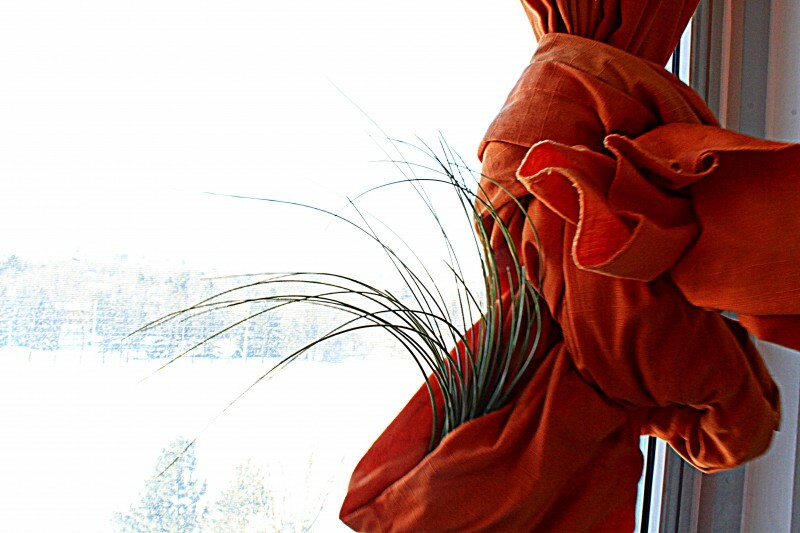 Hahaha that’s so funny: the Tillandsia in the curtains! It looks very swirly! Thanks Barbara for showing us all your hanging planters today! 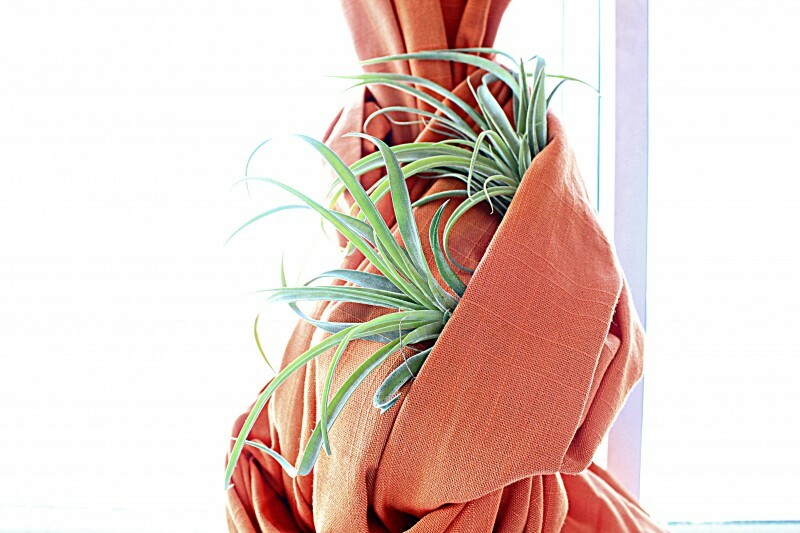 The air plants in the curtains are such an original touch! 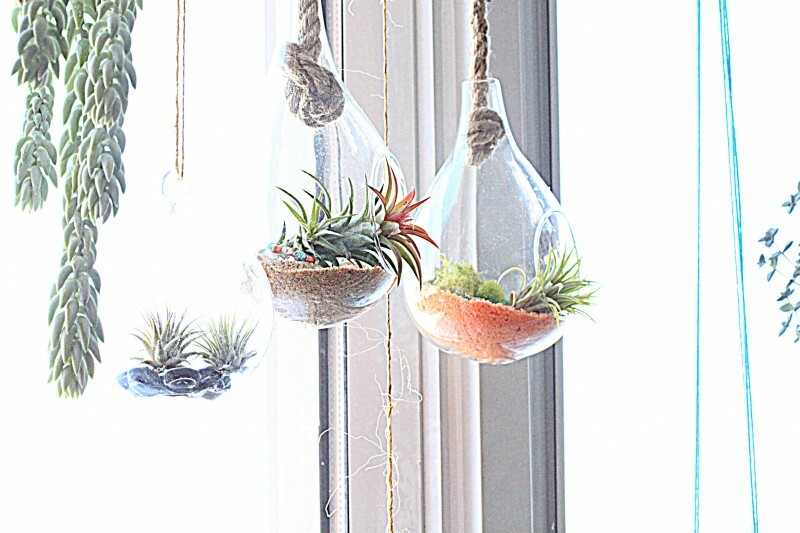 Oh my, I love the hanging terrariums in your home!! Thank you for joining us! !